#throwbackthursday back to the first time I took a logo very seriously because it was something I would end up having started in 2009 and still run to this day. My freelance graphic design company. Affection Design. When I started thinking of the logo I first just went all out with crazy fonts looking for something cool, but nothing looked right. Finally after a week or so of just looking at fonts thinking I'll just put AD as initials, I got tired and bored and almost gave up. Finally I went to the basic shapes in illustrator. I looked at what I could do very minimal with 3 shapes. 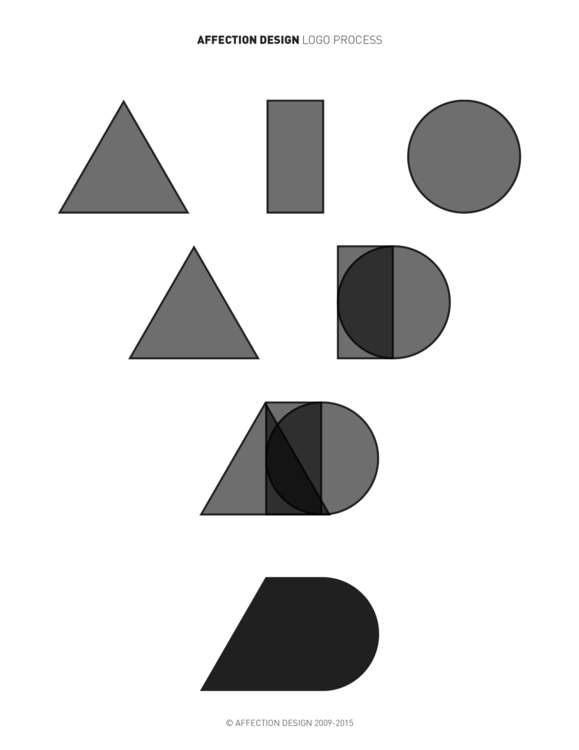 What makes an A and D? A Triangle, Rectangle, and a Circle. Then the rest just came together when I placed them out side by side.